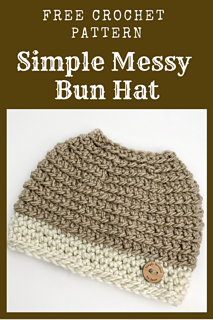 Very simple messy bun hat. This is worked from the top down and in the back loop only. 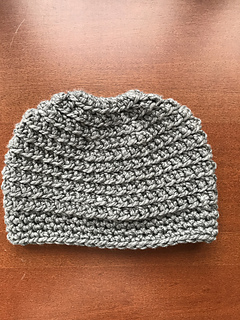 Uses an extended single crochet stitch. You can work this up in an hour. 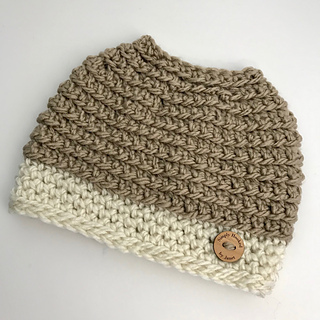 Add a button to the brim or use 2 colors to add stripes.